The following is an overview of the nature of the complaints that the Pincher Creek Detachment received for the period of December 23 to 30, 2013. Note that the summary indicates what was reported to the police and may not have been substantiated. The RCMP are investigating an attempting break and enter that was interrupted by an employee on the morning of December 26 which resulted in the employee being doused with an irritant. At approximately 7 a.m. an employee attended to his remote work location south east of Grande Prairie. When the employee arrived he noticed a suspicious vehicle backed into the work site. When the vehicle's occupants noticed the employee it immediately left the area. The employee attempted to follow the vehicle with two suspects inside. The suspect vehicle stopped and then backed up to the employee. Both the suspect and employee rolled down their vehicle windows at which point the suspect doused the employee in his vehicle with what was believed to be bear spray. The suspects then fled the area. Although the employee was having difficulty seeing and breathing, he was able to contact his supervisor who subsequently called for assistance. An investigation has revealed that the suspects stole a new Herman Nelson heater and a computer monitor. The suspect vehicle is believed to be a crew cab, short box Ford F350, possibly 2006. A photograph is attached. 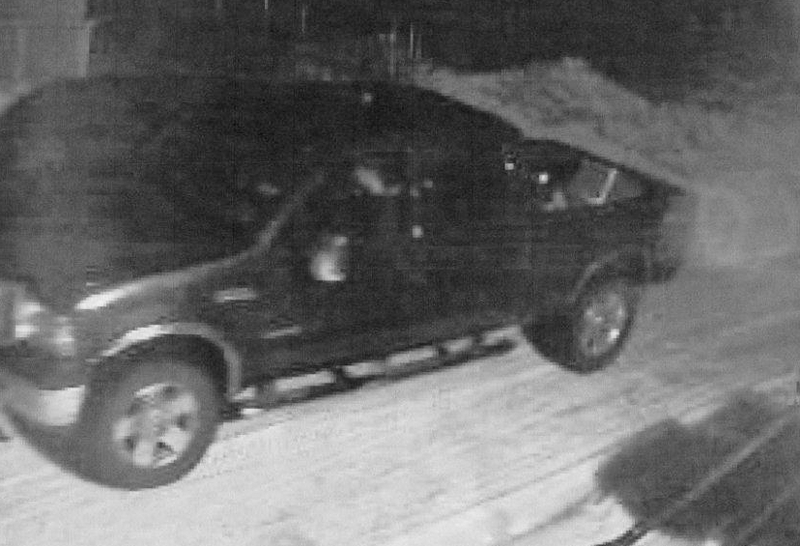 Police are asking anyone who might recognize this vehicle or have any information regarding this incident to please contact the Grande Prairie RCMP or Crime Stoppers at 1-800-222-8477. On December 28, 2013, at 10:40 pm, Westlock RCMP officers were dispatched to a residence near Busby, Alberta. Two males, Kevin BOLES (age 46) and Curtis PERRIN (age 37) were found deceased in a residence with apparent gunshot injuries. Another male, Alvin BOLES (age 70) was arrested at the scene and transported to Westlock Detachment. Investigation by the Westlock RCMP officers, assisted by RCMP Edmonton Major Crimes Unit and Edmonton Forensics Identification Section, resulted in the following charges: Second Degree Murder of Curtis PERRIN, Manslaughter of Kevin BOLES, Use of a Firearm during the Commission of an Offence and Careless Use of a Firearm. Alvin BOLES was remanded in custody and is scheduled to appear in Westlock Provincial Court on January 08, 2014. Autopsies are tentatively scheduled for Monday December 30, 2013 at the office of the Chief Medical Examiner in Edmonton. Busby is located approximately 28 km south west of Westlock, Alberta. Police are requesting that anyone who may have information about the incident is asked to call the Westlock RCMP at (780)349-4492 or call Crime Stoppers at 1-800-222-8477(TIPS). On December 25th, 2013 at approximately 5:00 AM, High River RCMP were dispatched to a call of a suspicious person in the neighborhood surrounding the Rowan House Woman's Shelter. The male was prowling around the Rowan House and looking into the windows. Just prior to Police arriving the suspect had gotten into a dark colored SUV. When Police attempted to stop the vehicle it continued to drive for several blocks before slamming into a snow bank and became stuck. The Driver attempted to free the vehicle by rocking it back and forth while Police ordered him to stop. The Driver was taken into custody without further incident. The Driver displayed symptoms of Impairment by alcohol and was subsequently arrested and processed as an Impaired Driver in addition to several other offences that arose from the suspect being near the Rowan House and items seized from inside of his vehicle. At the time of his arrest the suspect was presently at large on the strength of 4 recognizances in relation to other unrelated criminal charges that were before the courts. All of those charges are from outside of the High River area. Police do not believe that the suspect is anyway associated to anyone presently residing in the Woman's Shelter. Police are continuing their investigation and further charges may be coming. Mr. MPIKA was remanded into custody to appear in Calgary Provincial Court on January 30, 2013 to speak to bail. On Tuesday, December 24th, 2013 at approximately 1:20 p.m., the Sundre RCMP responded to a multi-vehicle collision at the intersection of Highway 22 at Township Road 333, just north of Sundre, Alberta. Sundre Fire and Emergency Medical Service personnel also responded to the scene. Once at the scene, RCMP members found that one vehicle had been involved in a primary collision, and three in a secondary collision. The investigation revealed that a Jeep SUV had been southbound on Highway 22 and lost control, coming to a stop in a snow bank. The driver of a Dodge truck then stopped at the scene to render assistance to the driver of the Jeep. Moments later, a Ford van, travelling southbound passed the scene, struck the rear of a Ford truck that was also southbound, passing the initial scene. The Ford truck went off the roadway and into a ditch. The Ford van then continued off the roadway, striking the parked Dodge truck head on. The driver of the Ford van, a 60 year old female resident of Rimbey, Alberta, was transported to Sundre Hospital to be treated for non-life threatening injuries. A passenger of the Ford van, a 63 year old male resident of Rimbey, Alberta, was transported to Sundre Hospital, then to Calgary Foothills Hospital via STARS helicopter, to be treated for serious injuries. A passenger of the Dodge truck, a 37 year old female resident of Cochrane, Alberta, was transported to Sundre Hospital to be treated for minor injuries. Several other occupants were also treated at the scene for minor injuries. The investigation into this collision is continuing, however charges under the Alberta Traffic Safety Act are anticipated. Anyone who witnessed this collision, or has information in relation to this collision, is asked to contact the Sundre RCMP Detachment at (403) 638-3675. Milk River RCMP, with the assistance of the Lethbridge RCMP Forensic Identification Section and the RCMP Calgary General Investigation Section, are currently investigating what is believed to be an attempted murder which occurred in the early hours of December 28th, 2013 in Warner, Alberta. Multiple gunshots were fired into an occupied residence while the victims were asleep. No one was injured in the shooting, and the event is not believed to be random. The matter remains under investigation, and anyone with any information on this or any other crime is asked to call the Milk River RCMP at 403-647-2427 or crime stoppers. The cold front that was expected to move into central Alberta overnight caused numerous issues on the QEII and surrounding highways on December 28, 2013. Blowing snow drove down visibility near Olds and Innisfail which led to multiple collisions and reports of stranded motorists. RCMP and Alberta Sheriffs from the Innisfail Integrated Traffic Unit and surrounding detachments responded to dozens of vehicles that were either stranded or involved in collisions. One such collision involved a half dozen vehicles and forced southbound traffic to be rerouted for approximately 3 hours. No serious injuries were reported despite the road conditions. Earlier, RCMP had put out a travel advisory warning motorists to stay of area roads due to the poor visibility and the accumulation of snow. With the assistance of the Olds Fire Department and the Bowden Fire Department, buses were arranged and emergency services rescued a few dozen stranded motorists and transported them to local shelters that were activated. Police are reminding motorists to be prepared for winter driving conditions and to carry with them blankets and supplies necessary to stay warm should they become stranded in adverse weather. As visibility and road conditions improve, RCMP are reminding motorists to remain cautious on local highways as icy patches have been reported in the Red Deer and Innisfail areas. 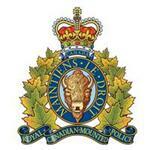 On December 25, 2013, at approximately 12:30 pm, High Prairie RCMP officers were dispatched to a residence in Whitefish River, for an unconscious 21 year old male located by family members. The male had visible assault injuries and was attended by the Atikameg Emergency services. The young man succumbed to his injuries and passed away while still at the residence. Investigation by the High Prairie RCMP officers, High Prairie GIS investigators assisted of RCMP Edmonton Major Crimes Unit and Peace River Forensics Identification Section resulted in the arrest of 19-year-old male, Lucky Darren THUNDER of Whitefish River. THUNDER is charged with Second Degree Murder and is to appear in the High Prairie Provincial Court on December 30, 2013. At the request of his family the young man's identity will not be released. On December 23rd, the High Prairie RCMP responded to an armed Home Invasion in High Prairie involving several young men forcing their way into a residence, assaulting the homeowner and then stealing various items from the residence. Three suspects were arrested after attempting to flee police. All three persons have been charged with Breaking and Entering to Commit Robbery. Sean BigCharles (27), from East Prairie, AB has also been charged with Obstructing a Peace Officer. Daniel Bigcharles (18) from Edmonton, AB has also been charged with Assault with a Weapon, Using a Firearm in Commission of an Offence, Pointing a Firearm and Possessing a Weapon for a Dangerous Purpose. The three men are scheduled to be in High Prairie Provincial Court on Monday, December 30th, 2013. The High Prairie RCMP would like to thank the valuable support from the community which assisted in locating and apprehending these suspects in a timely manner. Additionally, the High Prairie RCMP would like to remind the public to keep outbuildings, vehicles and home doors locked. The RCMP have charged a 20 year old male with attempted murder after another male was stabbed on December 23rd. On December 23rd at approximately 4:30 p.m. the Grande Prairie RCMP and other emergency services responded to an injured male at a downtown dormitory style housing complex. Upon arriving at the scene they found an injured male who had what appeared to be a severe stab wound to his neck. The male suspect was arrested at the scene without incident. Cory HADDOCK, a 23 year old male from Grande Prairie, has been charged with attempted murder and possession of a weapon for a dangerous purpose. He has been remanded into custody and will make his first court appearance on December 30 at 9:30 a.m. in Grande Prairie Provincial Court. At approximately 2:15 a.m. on Thursday, December 26, 2013, Wood Buffalo RCMP stopped a vehicle on Highway 63 near Hospital Street in Fort McMurray, for failing to stop at a red light and suspected impaired driving. The vehicle then fled and was later stopped again in the Gregoire area after almost striking an RCMP member that was assisting. Police report no one was injured during this incident, the pursuit speeds were low and there was very little traffic on the road at the time. The investigation is continuing and a court appearance for the female is pending.